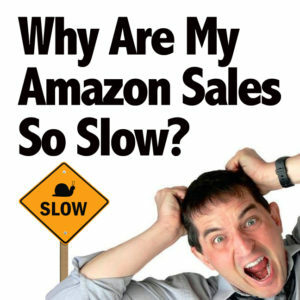 Home Increase Sales Why Are My Amazon FBA Sales So Slow? 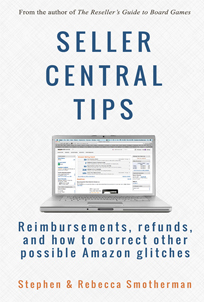 If you’re like most Amazon sellers, you can get quite addicted to refreshing your pending sales page in Seller Central. Or maybe you like to check the Amazon Seller app to see what your total sales numbers are for the day so far. It’s a lot of fun, and even sometimes a rush, to see the latest sales that are coming in. But what happens to you when you don’t see the usual sales numbers? 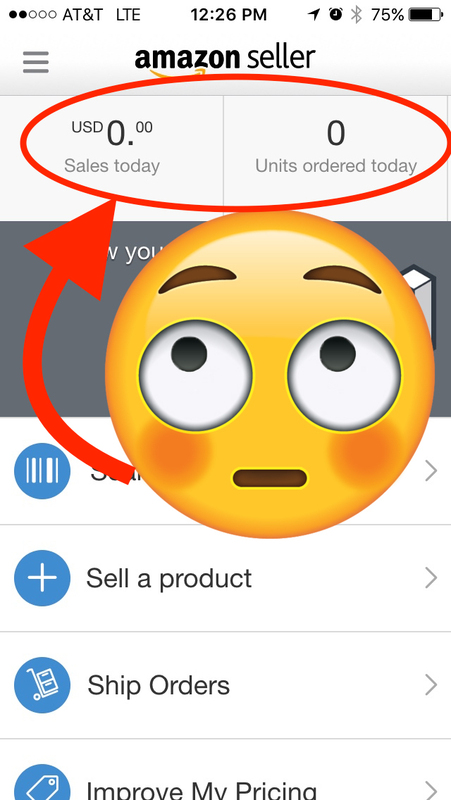 What happens when you check the Amazon Seller app and don’t see the sales numbers you expect to see? Sometimes it can feel deflating and cause you to wonder if you’re doing something wrong. Other times it might lead you to freak out and wonder if your seller account has been suspended without Amazon notifying you. Super slow sales might even cause you to pause and consider if this whole “Amazon Reseller” thing is even working out like everyone said it would. I know these reactions are real because I’ve experienced them often. With over six years of full-time Amazon seller experience, I’m here to tell you that if you’re frustrated by a slow sales day, you’re not alone. We all experience slower than normal sales from time to time, but there are proven strategies to increase your sales that you can use today. Yes, today. In the video below, I share with you the top 7 reasons why your sales might be slow and how to respond to each possible reason. Watch the video below, and then continue reading the post below. Hopefully you’re feeling encouraged with the video from above. If you are experiencing any of the above possible reasons that your sales have slowed down, then you’re now equipped with an action plan to kick your sales back into action. Remember, when you’re examining the success of your Amazon FBA business, don’t just look at one day’s sales (or even one week’s sales) to assess whether or not you’re doing well. As with almost anything in life, you need to look at the big picture over time in order to get a more accurate view. Don’t let your low sales days get you discouraged from continuing to grow your Amazon business. In fact, let your low sales days motivate you to make the proper adjustments in order to lower your chances for another low sales day. Now, I’d love to hear from you. What are some other reasons Amazon sellers experience a slow sales day? What strategies have you found to kick up your sales a bit? I’d love to hear from you in the comments below. 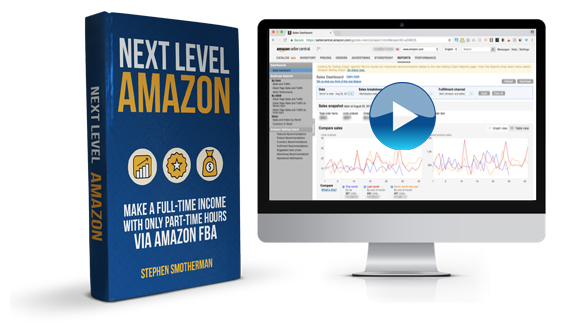 If you’re ready to take your Amazon FBA business to the next level, then I highly recommend Next Level Amazon: Make a Full-Time Income with Only Part-Time Hours via Amazon FBA. This is not a beginner course, but a step-by-step strategy focused on how to build up a successful Amazon FBA business to the point of making a full-time income with only part-time hours. From scaling your business, to upgrading your skills, to setting up your insurance options, to knowing the fastest ways to grow your sales, I’ll show you the proven strategies for how to make a full-time income with Amazon. Is there a good average sales rank to use before sending items in to FBA? I sell in the books & media category. I want to continue to send in items but I don’t want them sitting in the warehouse for over a year since the sales ranks fluctuates. Your article is a bit contrite . Everybody knows that sales can be down for a few days or a week whatever. For many we are talking about sales down drastically fora long period with no letup in sight as it is for me at the moment.and I’m no newbie wanting another course. I tell you what is happening and I have followed this for quite a while. All the original Amazon sellers are piling into internet marketing offering FBA techniques and courses . Its just exploding. This is having an effect as it is drawing in hordes of newbies and this is leading to saturation . No question . And you can tell that the original genuine Amazon sellers who have now morphed into internet marketers are even panicking.. This is evident by two indicators . One the claims being made are ridiculous and the start of spamming to get newbies to sign up. Even the new Internet Marketers all selling the same basic method are getting anxious. That’s a very good point Mel. To add to your comment, hardly any of those Gurus’ that sell these beginner Amazon or FBA programs sell on Amazon themselves. I can’t say that about Stephen though because he offers a lot of FREE information along with what he sells. You can tell by his teachings that he appears to be selling on Amazon. I appreciate the honest feedback and advice that you all give. My sales have been slow too, to the point of “what the heck”! But, I know that with diligence it can be done, even at a small-seller level. I just want to know why when people get so good at something and make good money from it, why all of sudden they write book and want to start charging people courses that’s ridiculous.Whatever happen to giving back, i mean there are people out here with nothing, and they just want to succeed like you did, and we were all once in same hole at the start. I just believe if someone wants to help another they help, not CHARGE for their help, is like saying I want to donate from my heart but I need dollar back…Don’t make sense at all…I understand people need money for their time….So just be clear PLEASE don’t SAY your here to HELP…. We are here to help. To date we have over 150 free blog posts and over 200 free YouTube videos – all providing free training and helpful information. We spend about an hour a month providing free webinars for everyone. We have multiple freebies we give away all the time… and only 9 courses we sell. The courses are for those who are ready to put their money to work for them, as it’s the best of the best info all in one convenient course. Spending money on a course is the best way to know you’ll actually take action on it. I can’t tell you how many courses I’ve given away to people who end up never taking the course. When you spend money on something, you value it. And I value these courses and the knowledge within. Charging for the best of the best is actually doing you a favor and is the best way I can help everyone. I’m sorry that your sales are down, Mel. As you said, perhaps for some sellers sales have gone down over time, but that certainly isn’t the case for every seller on Amazon. Yes, there are new sellers to FBA who come in waves, but just as many drop out due to the fact that it’s not a get rich quick scheme or a get rich easy scheme. It does take hard work, as outlined in the steps we cover in the video above. We are trying to offer helpful suggestions for how people can improve sales if they experience a slow down. We have been selling on Amazon for several years, and our sales have gone up every year during that time, so this isn’t just something we’re making up — we are genuinely trying to help other sellers become successful at the same thing we have been successful at. We are not at all anxious about the outlook for FBA in the days and years to come, and we want to help anyone who is willing to put in the hard work and effort to build up an FBA business. Stephen posts great content on his Facebook page and the Youtube channel. Try to find another guru willing to show you how to use the box resizer, or demystify the use of Inventory Labs. He is not posing in front of a Ferrari….giving bad advice, I think we all know which “guru” we are talking about. thanks! great info! Really appreciate it! 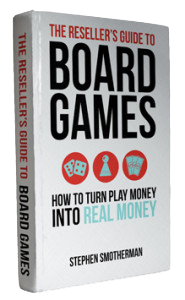 Should I buy “year in FBA” or wait for this next level course? It depends on what kind of information you want to learn. Next Level Amazon is about taking your current Amazon seller skills and taking them to the “next level” in order to make a full-time income on Amazon. A Year in FBA (www.fulltimefba.com/yearinfba) is a month by month guide taking you through everything you need to know from January to December on how to maximize your Amazon business. Year in FBA deals with the seasonal trends, dealing with January returns, limited time sales, important deadlines, upcoming Amazon rule changes, holidays you can profit from, when you should reprice inventory, how to best prepare for Q4, how to avoid the “summer slow down” in sales, and so much more. It’s like comparing Apples to Oranges. Both courses will help you tremendously improve your Amazon business. Will invest in the “year in FBA” course this weekend. Sounds like this new course is a must as well. Also want to learn JungleScout, do you have a course for that? Thank you so much for your videos and articles…God bless! 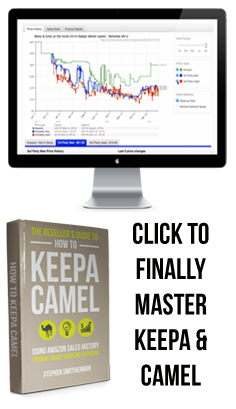 I purchased the Camel Keepa course and it really opened my eyes. Thanks for that!